Custom configured dual action and tandem mixers for applications where users have one tank and multiple mixing requirements are being introduced by Sharpe Mixers of Seattle, Washington. Sharpe Dual Motion Mixers combine a high-shear or high-intensity mixer with a low-shear gentle acting agitator and can be custom configured for a wide range of applications involving one tank with multiple mixing requirements. 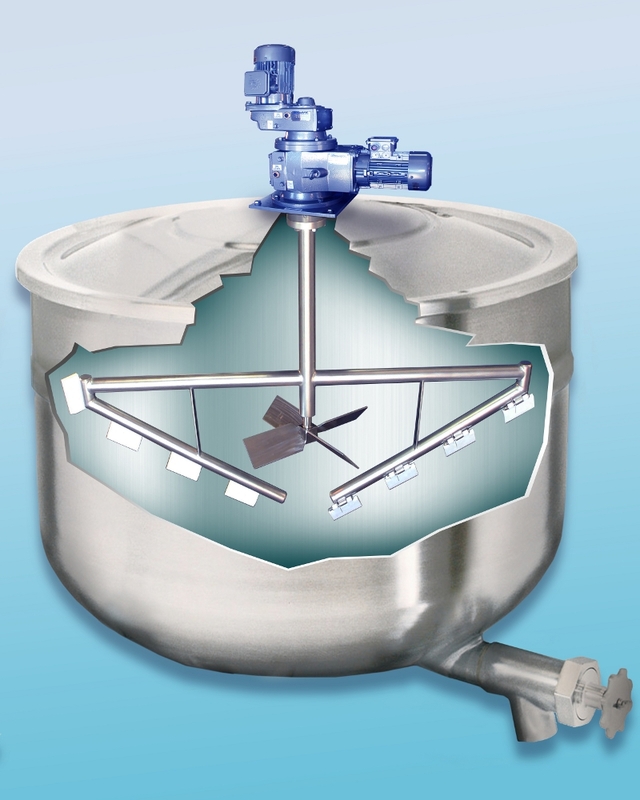 A typical configuration designed to improve product uniformity includes a center mounted low speed anchor mixer or scrape anchor mixer which moves product into a mixing zone where a secondary agitator thoroughly blends. Suited for numerous applications, Sharpe Dual Motion Mixers can utilize scrapers to assist in sweeping the side walls of a tank. A helix-auger configuration for high viscosity applications requiring low shear mixing is also available. Typical applications include manufacturing food products processed with gravy, sauces with thickeners, and chemical slurries. Sharpe Dual Motion Mixers are priced according to configuration. Price quotations are available upon request.